In the three weeks since my last WIP Wednesday there has been serious hobby progress on the Partiboys. 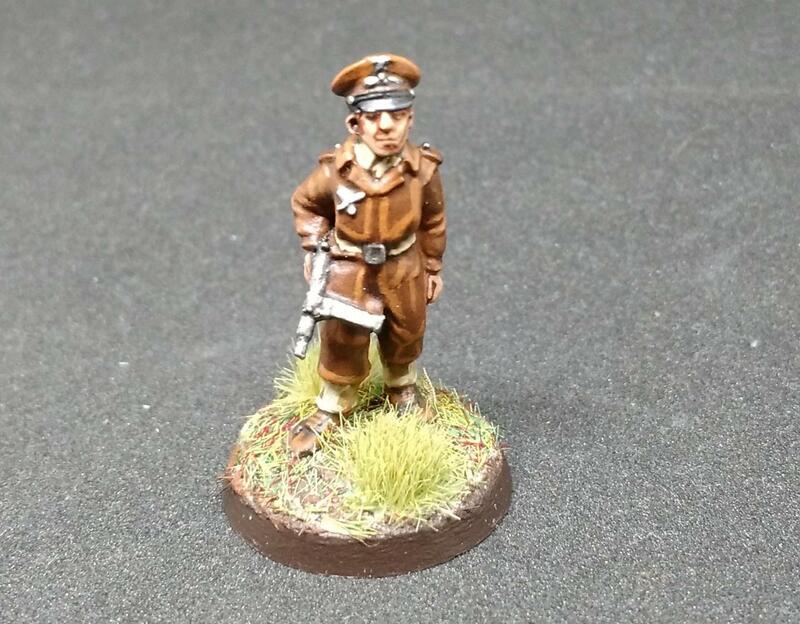 Not only are 24 models finished (besides basing) but both Rubicon Opel Blitz trucks have been built (one still needs an MG gunner), 52 more Partiboys have been built and primed and the list has been refined further after a few practice games. Unlike most armies, the Partiboys lack a uniform. This simple fact has led to a few painting challenges. I would normally be able to have a formulaic process to batch paint waves and waves of troops but this time, I am trying to keep as much variation as possible between the individual models. Of course, too much variation will end up with completely incohesive force so I am working to strike a balance between the individuality of the Partiboys and the desire to have a united army on the tabletop. The Partiboys army is not completely infantry. Even though the options for vehicle support are limited (there are two choices in the army list, a truck and a car) we are using a pair of transport trucks to get the inexperienced pistol squads into the fight quickly. I’ve got two Opel Blitz trucks from Rubicon Models and I am impressed with the kit but there are two major issues. The first is the crew and the second is the model markings on the flat surfaces. It is great that these trucks include models for a driver and an assistant driver. I have never been a fan of models that are open-topped or have windows that you can see empty crew compartments and it is a sign of care and dedication to detail that Rubicon included models for crew. That being said, these models as rough. Especially the heads. 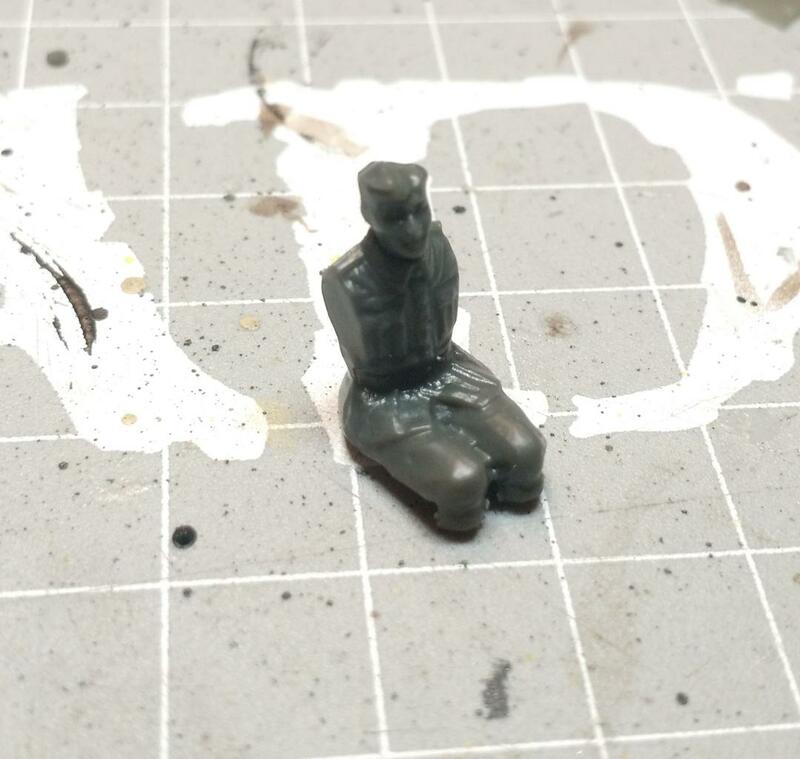 Now I realize that you will not be able to see the entire crew model sitting in the driver’s seat, but there is a serious lack of crispness on these sculpts and the detail is soft and lacks definition. It is night and day compared to the trucks themselves. It looks like one company made the vehicle and another made the crew in this kit. As great as Rubicon’s kits are, there is room for improvement with the crew components. The mold markings. I am not sure what the technical term for marking on a plastic model kit like this is. It’s not flash, it might be mold lines. Whatever they are called, they are an issue on a flat surface like this. These are the types of marks that you would see on a low quality model kit, but I expected better from Rucbicon. 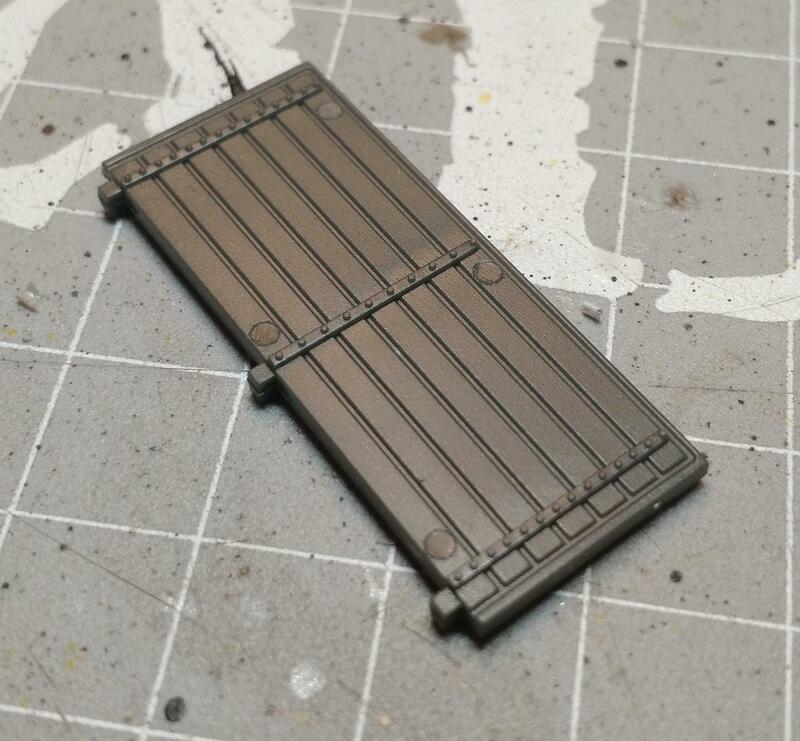 Even with these quibbles, I am very impressed with the Open Blitz kits and with the addition of some stowage these trucks are ready for priming and paint. I’ll be going with a classic grey paint scheme. 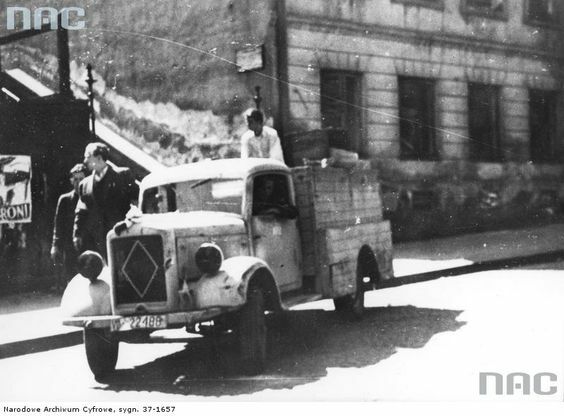 I’ve managed to find a few pictures of these trucks being used by Partisan forces during the Warsaw Uprising. Along with the Partiboys I completed my model for the Reddit r/minipainting Christmas Exchange. This is the first year I took part in the exchange and I will being not only taking part again next year but I will actively promote the event as well. It was great motivation to get a miniature painted up that was not part of an existing army or project. We all have some random miniatures hanging around and this event gave me the motivation to get one painted up. With Adepticon only 92 days away I will need to pick up the pace if there is any hope to be ready.